In an industry that's constantly changing, Max Mara always manages to remain true to its Italian heritage, which is rooted in impeccable craftsmanship and timeless style. 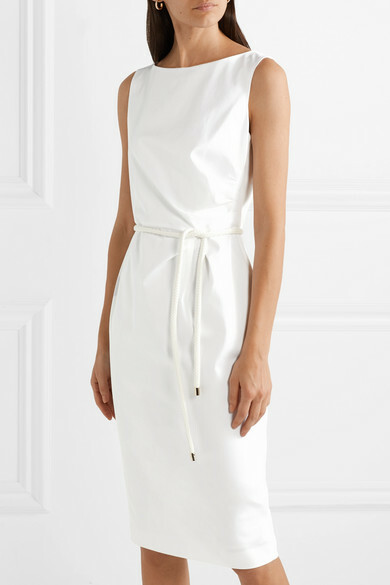 This white dress is made from stretch-cotton that closely hugs your curves and falls to a knee-length hem. 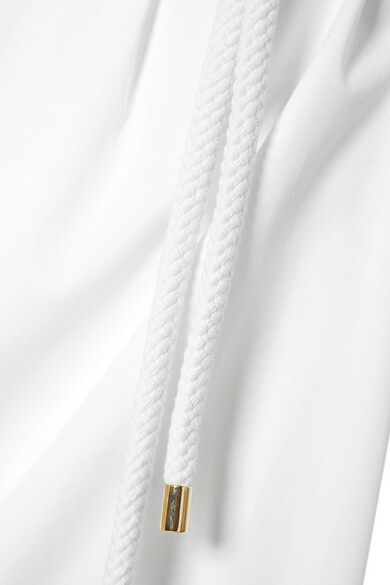 Knot the rope belt to define your waist. Shown here with: Loewe Shoulder bag, Prada Sandals, Isabel Marant Earrings.